Monkey Forest is more than a cultural or religious site with monkeys prancing around. It is an area that is lined with small temples, cafes, restaurants and shopping outlets. 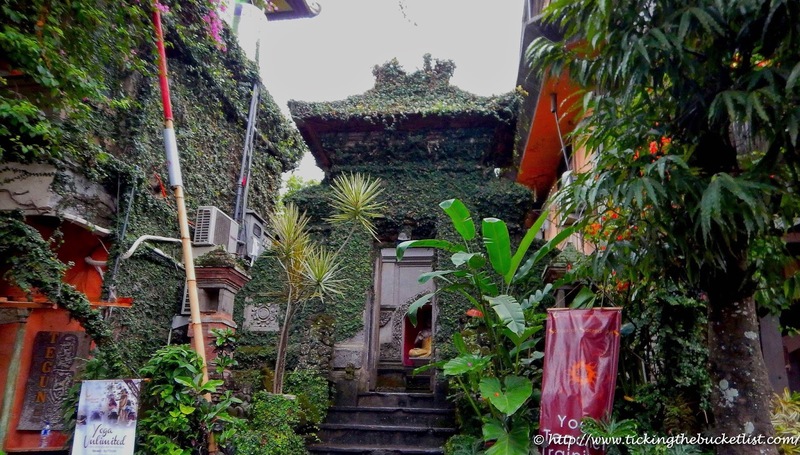 There are plenty of cozy bed and breakfasts if you are on a budget, which will let you mingle with the locals and be in heart of all the action in Ubud. There are rice fields in Ubud. 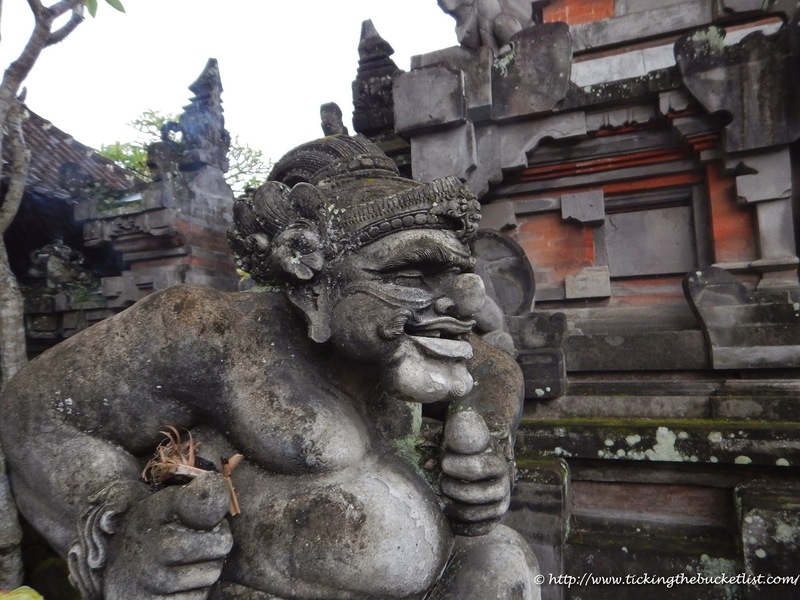 You will see plenty of them when you drive to Ubud from Nusa Dua or Kuta. But they are flat paddy fields. 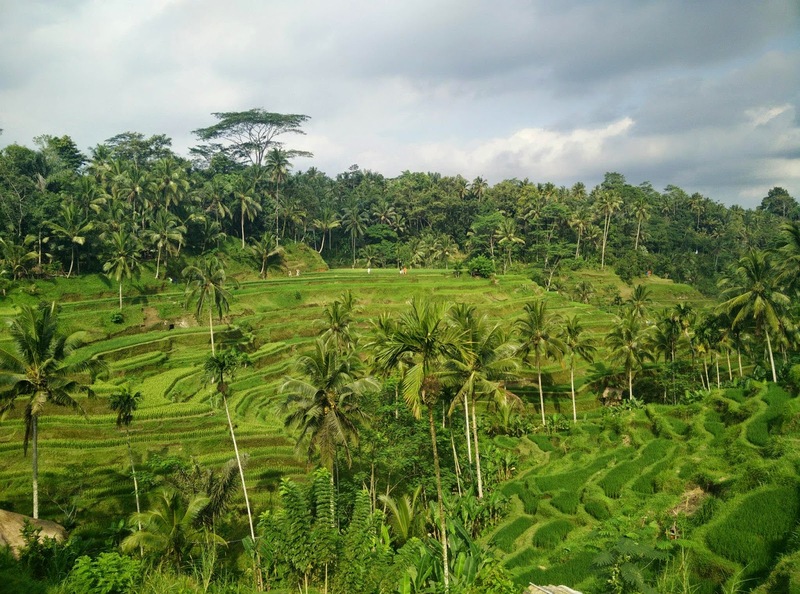 The stepped rice fields, which are part of the UNESCO list and pop up when you search for ‘Bali rice fields’ are a little off Ubud centre in an area called Tegalalang. Ensure that your taxi guide knows that you want to get there. Not many people understand English well, including the taxi drivers who take you for a day trip around the island. It is best to write down where you want to go and have a picture of the site along with it. You may want to simply circle these places on the tourist map/brochure that is available at the airport. Ubud is the cultural capital of Bali. There is a temple to explore almost everywhere. There are temples for deities… the big ones that make magic, the ones that help you in your daily tasks, the ones that guard the village and many more. Its THE place for the culture vulture to spend time! The outskirts of Ubud have coffee plantations, which boast of the famous kopi luwak, one of the most expensive coffees in the world. I am not dwelling into the ethical dilemma on kopi luwak as of now… will discuss it in a subsequent post. The plantations have a spice garden and smallish coffee plantation, both are free to visit. The visit includes sampling Balinese coffee and Balinese tea – free of cost (except for the kopi lowak). The Barong dance is held in the evening at about 7:00/7:30 pm. There are other dances like the Kecak dance that are held in this show. Certain shows are also held at 9:30 am. Check with your hotel for tickets for the same and plan your day in Ubud accordingly. The location of the luxury resorts is not bang in the centre of Ubud Town. That is where the little boutique hotels and BnB’s are. The luxury resorts are about 10-30 km from the centre of Ubud town. Traffic in Ubud, especially in the Monkey Forest area is crazy. It can take over 30 min to cross a 2 km stretch. The area is full of one ways and Google Map wasn’t very accurate. 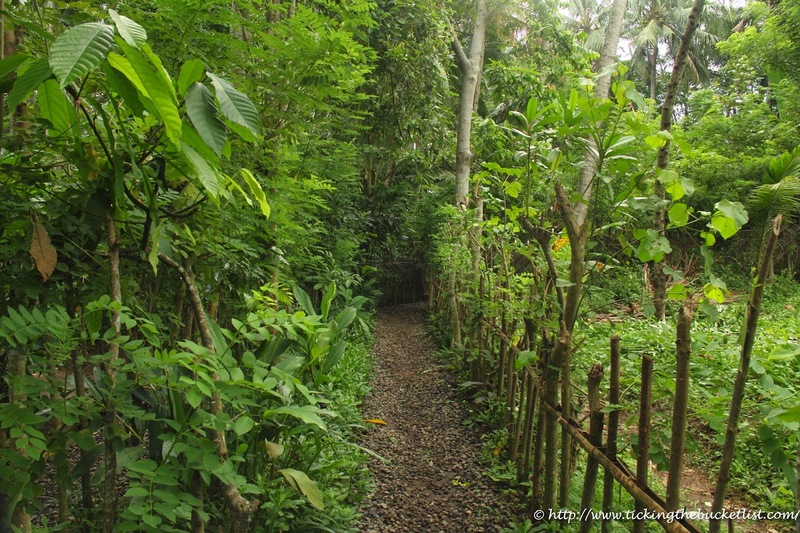 Renting a car to get around this area (if you are staying in Ubud) is not the best idea. It would be ideal to rent a motorbike. While we did only a day trip to Ubud, we realised that there was so much to do and see there that we should have spent at least a night. Hope the above tips help you plan your trip better! 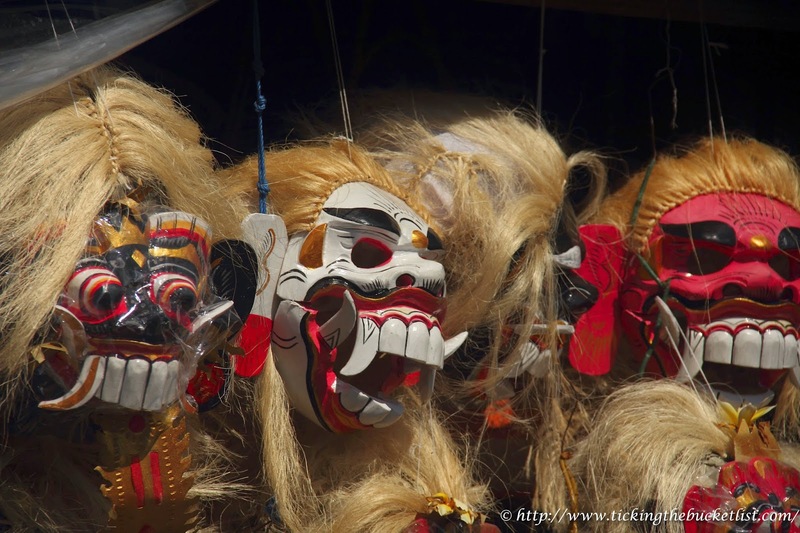 Ubud is truly a haven of cultural experiences in Indonesia. I enjoyed my time there too, especially the Monkey Forest and the local cultural shows. Reading your post had me longing to go back! 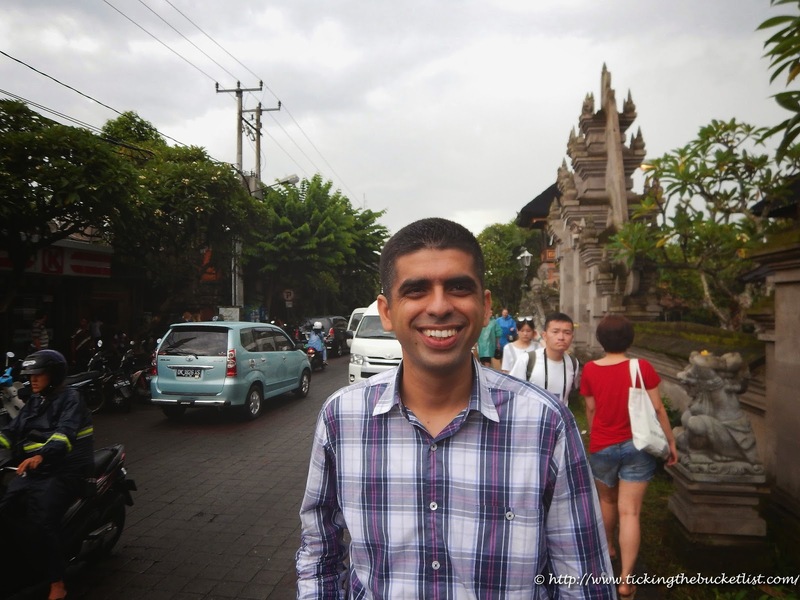 I keep hearing about Ubud and your post makes me want to visit even more! I love visiting temples, so this seems to be the place to be. The local dances seem like a must-see, too. Definitely one day is not enough to explore the beauty of Ubud. The Unesco rice terraces are so beautiful and so green, the lush vegetation makes it look like a small corner of paradise. I would love to explore the culture of Bali and attend a dance performance in Ubud. I have a friend who lived there for a year and studies the arts of Bali, she told me about these dances and their tradition. Such a helpful post! I had no idea that the stepped rice fields were called “Tegalalang” — and I assumed that most of the rice fields were not flat. We’re hoping to visit Bali this year, so I appreciated your tips about the taxi drivers and traffic. Looking forward to reading more of your posts! 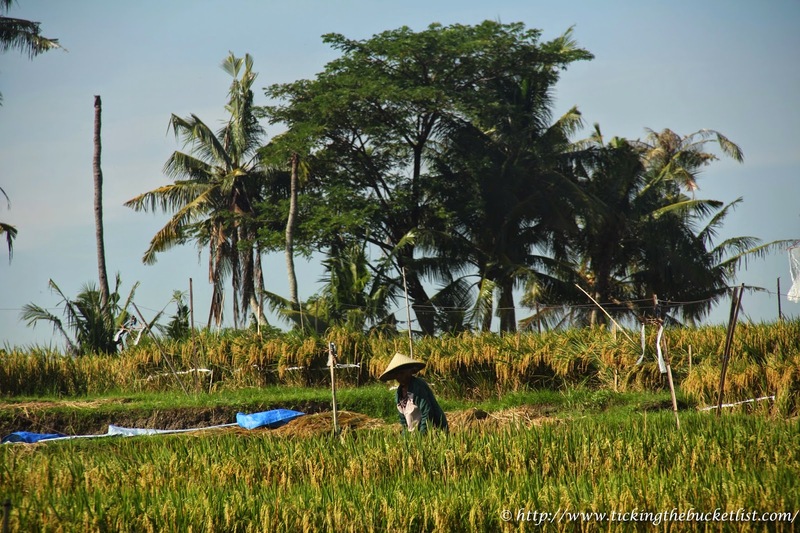 I understand why the rice fields of Ubud are UNESCO listed, they photograph so beautifully! The air must be so clean and fresh where the luxury resorts are! I’d like to snap monkeys at the monkey forest, they love to pose for photos, I can imagine them trying to steal food if you were eating in one of the nearby restaurants though. I would love to visit Bali one day, it seems so much more than just beautiful beaches and looks like its absolutely full of history and culture. Now only if it weren’t so expensive to get there from North America. I have been in Bali for. half-a-week now and i am planning to head to Ubud today.. ( its early morning 4 AM now as i post this🙃 ) & this blog has certainly helped me chalk out stuffs i should do their.